Hiram Bronson Granberry(spelling later changed) was born in Copiah County, Mississippi, on March 1, 1831, to Nancy and Norvell R. Granberry, a Baptist minister. Hiram was educated at Oakland College in Rodney, Mississippi. In 1852, he moved to Waco where he soon joined Waco Masonic Lodge. Upon arriving, Hiram changed the spelling of his last name to “Granbury.” The only possible explanation for why he did it comes from his sister’s memoirs, “He did it on a whim for no particular reason.” He enrolled at Baylor University where he took up the study of law and was soon admitted to the Bar. Wacoans elected him chief justice of McLennan County when he was just 25 years old in 1856 and the members of Waco Lodge elected him to serve as lodge secretary simultaneously. He also took up work writing for Waco’s first newspaper, The Brazos Statesman, and quickly developed a reputation as a gifted scholar. Though he was only 25, it is clear that his peers in town recognized signs of tremendous leadership. On March 31, 1858, Granbury married Fannie Sims. 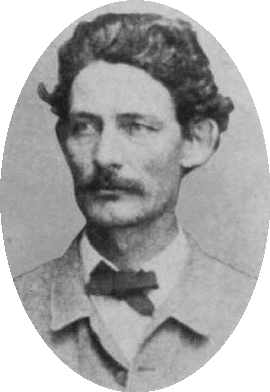 In 1860, Granbury was serving as a Lieutenant with the Texas Rangers on the western frontier where he befriended fellow Waco leader Thomas Harrison. At the outbreak of the Civil War, he recruited the Waco Guards, which became a unit in the Seventh Texas Infantry in Brig. Gen. John Gregg’s brigade of the Confederate Army. In October of 1861 at Hopkinsville, Kentucky, the 7th Texas Regiment elected Granbury as major. The 6’2″ 160 pound newcomer to war quickly distinguished himself as a natural leader. He was captured with the command at the battle of Fort Donelson on February 15, 1862. His time as a prisoner was spent at Camp Chase in Columbus, Ohio and then at Fort Warren in Boston Harbor for six months. His wife, Fannie, moved from Waco to Boston so she could be near him. While there, the couple passed communicated by letters passed through the prison gates. In the letters, Fanie described severe pain she was increasingly suffering in great detail. It happened that Hiram’s cellmate was a doctor who after hearing the letters read aloud by Hiram, suggested that she might have a serious problem with her ovaries and recommended that she see a doctor as soon as possible. She did and she was diagnosed with ovarian cancer. Granbury’s Union captors deserve great credit for allowing him parole time to take care of Fannie during her illness until it got so bad that she was forced to return home to the South where she soon died. Upon his release in a prisoner exchange, Hiram returned to the Confederate Army and was promoted to colonel. 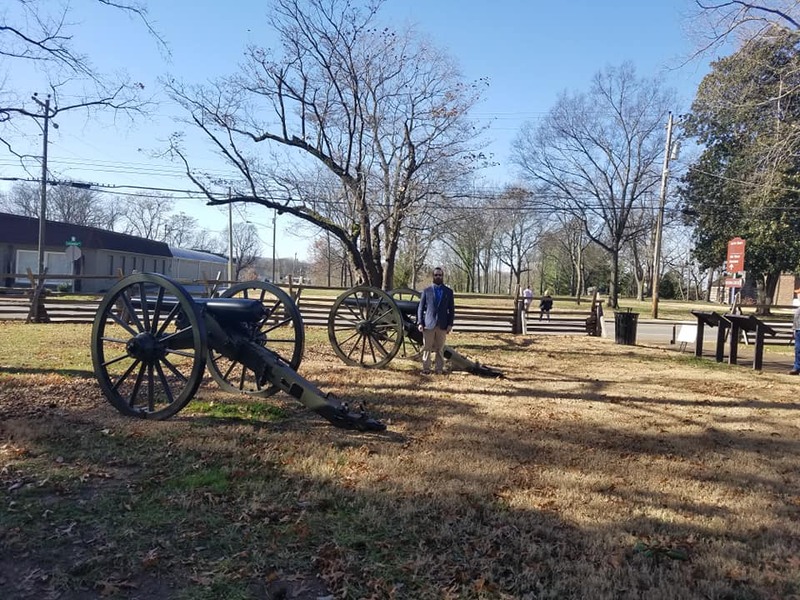 In May, Granbury spearheaded the attack against Union forces in the battle of Raymond, Mississippi just five miles from the farm where he grew up. Shortly thereafter, Granbury and his Texas Regiment joined Gen. Joseph E. Johnston’s army, assembled for the relief of Vicksburg. Union forces prevailed in the campaign so Granbury and his men were redirected to serve in Tennessee. Granbury commanded the Seventh Texas Regiment in Bushrod Johnson’s brigade of General John B. Hood’s Corps at Chickamauga on September 19, where he was wounded. It didn’t keep him out of fray for long. At the Battle of Chattanooga in November, Granbury and his men fought on Missionary Ridge, where his commanding officer was James A. Smith. Granbury positioned his soldiers perfectly just off the top of the ridge so that they could not be targeted and gained the advantage. While the rest of the Confederate forces were mostly overtaken in the Battle, Granbury’s men proved successful in their area. As the rest of the Confederates retreated, Granbury was promoted to succeed an injured James Smith and the famous Granbury’s Brigade was born. Their first mission was to hold Ringgold’s Gap and allow the rest of the Confederates to get out. They were successful and Hiram Granbury was now a Brigadier General of what became one of the most famous brigades in the Civil War largely due to his leadership. During the ensuing Atlanta campaign, he served in Cleburne’s division of General Joseph E. Johnston’s Army of Tennessee and was again particularly distinguished at the battle of New Hope Church. After the fall of Atlanta, Granbury led his brigade to join General Hood’s disastrous invasion of Tennessee. The goal was to seize Nashville from the Union and a race developed as Union Major General John Schofield was also on his way to fortify Nashville with his own men. The two armies met in Franklin. As the Union soldiers frantically tried to repair a bridge to get across the river towards Nashville, the Confederates readied an attack with the intent of preventing the river crossing altogether. The night before the battle, Hiram passed the time around a campfire playing chess. The next day, November 30, just before sunset, the battle began. Granbury was charged with leading the central units right up the Columbua Pike Road to the Carter House where nearly two dozen civilians were hiding in the cellar, praying to live. Thousands of Union soldiers waited in trenches across the Carter House property. The Confederates began to crash into the Union fortifications like relentless grey waves onto a beach. The open field Granbury was expected to cross just to reach the Union trenches for hand-to-hand combat was about a mile long. As Granbury sprinted ahead, he stopped and turned. “Forward men! Never let it be said that Texans lag in the fight!” This inspired his men in the heat of a battle marked by the use of bayonets, musket stocks, hatchets, and bare hands. Later, survivors described the scene as confusing because smoke filled the air so that one could not see even five feet forward. This led to soldiers returning fire merely at blasts of light in the haze. Shortly after Granbury issued his inspiring exclamation to spur his men forward, a cannonball went right through his head and removed the top of his skull. Granbury fell to his knees clutching his face and died immediately. He had come within 100 feet of reaching the Carter House after crossing a mile of open field covered by blinding smoke. Granbury was 33 years old. 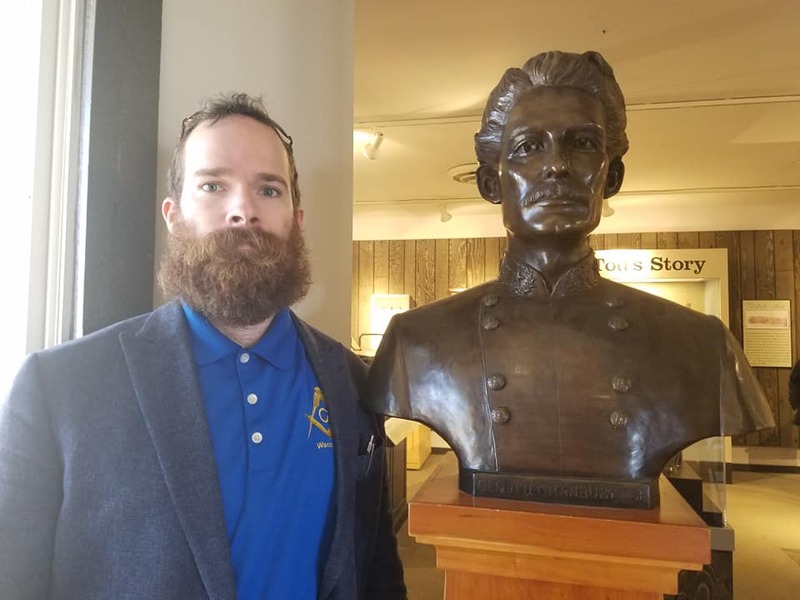 At the time of his death, Granbury was serving as Senior Warden of Waco Masonic Lodge and was expected to assume the highest position in the lodge at the close of the War. 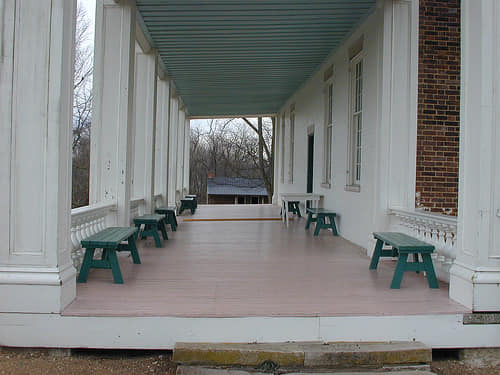 Granbury’s body temporarily rested on the porch of the Carnton Plantation near the battlefield. His soldiers were said to have wept openly as they came to see their fallen leader on the day after the battle. He was first buried near Franklin, Tennessee but was later reinterred at the Ashwood Church Cemetery south of Columbia. On November 30, 1893, his remains were removed to Granbury, Texas as the town was named in his honor. Resolved that a Copy of this Resolution be sent to his brother & sister & a copy be preserved in the archives of the Lodge.